In an article written to smear rights activists attempting to overturn CA's vague 'Assault Weapon' law (originally written by picking out scary looking guns from a catalog), the author shows his blatant stupidity. He first uses an old promo poster for the Rambo movies. Sylvester Stallone BTW, is/was a spokesman for the Brady Campaign, even after his decades of glorifying criminal use of firearms. 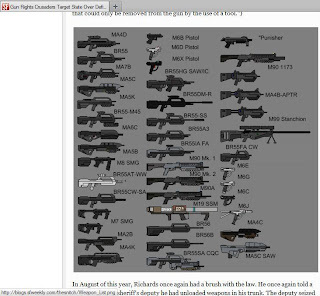 The second photo is a list of 'guns' from the video game HALO. 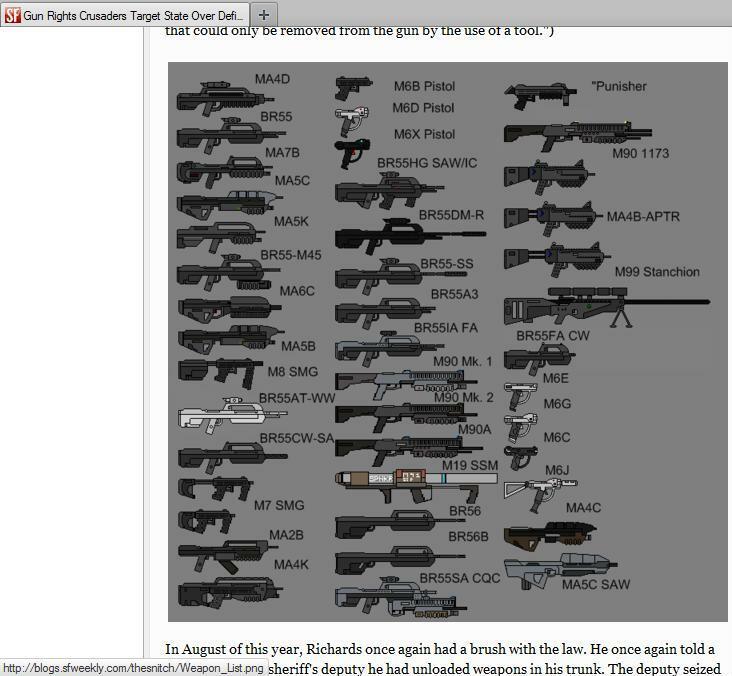 Seriously, he couldn't bother finding a picture of a real EBR but instead had to use a photo of made up ones? Just like the original CA AWB. This is the Main Stream Media of today. To quote Bugs Bunny: "What a maroon!" 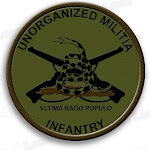 The first huge step for me switching sides as an anti to a pro-gun person was learning how to shoot and how guns worked. The #1 key point to being anti-gun is not knowing how they work, or what the laws are, or how proposed laws will work. What a idiot liberal pisswit. The press is officially dead. I read the blog post in question, and all of the salient points were in favor of the pro-second amendment plaintiffs. If you read between the lines it seems like he's on our side. Irrelevancy, The Brady Campaign Has It. How is this 'Clearly Revealed'? Even Joyce Foundation Puppets Get It..